Looking for some leisurely, fun time indoors, away from the heat? Challenge your companions to a friendly match of foosball at our air-conditioned Games Room, located near reception. 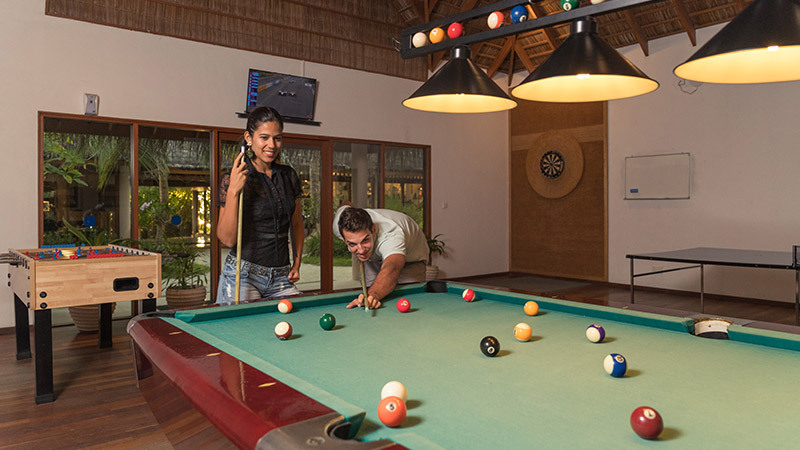 On the off-chance you lose, there is always an opportunity for a do-over at one of the other competitive game available, including billiards, table tennis or darts. Not in a mood to join the games? Borrow a novel from our book collection in the lending library, and enjoy some quality time reading in a comfortable chair while waiting for your friends to finish off their game!